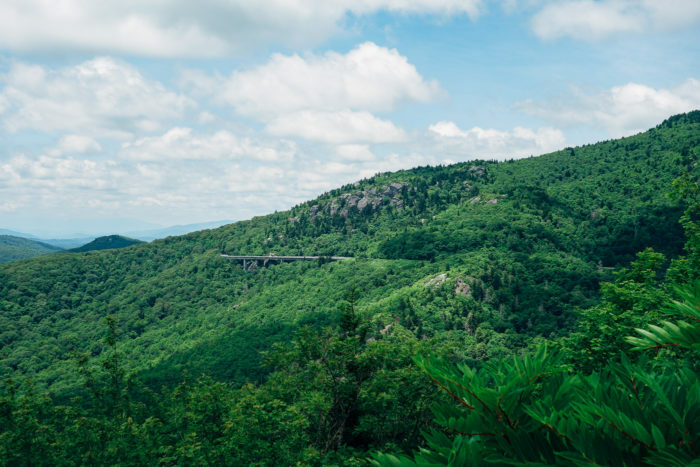 If I had to describe Blowing Rock in one word it would be, charming. 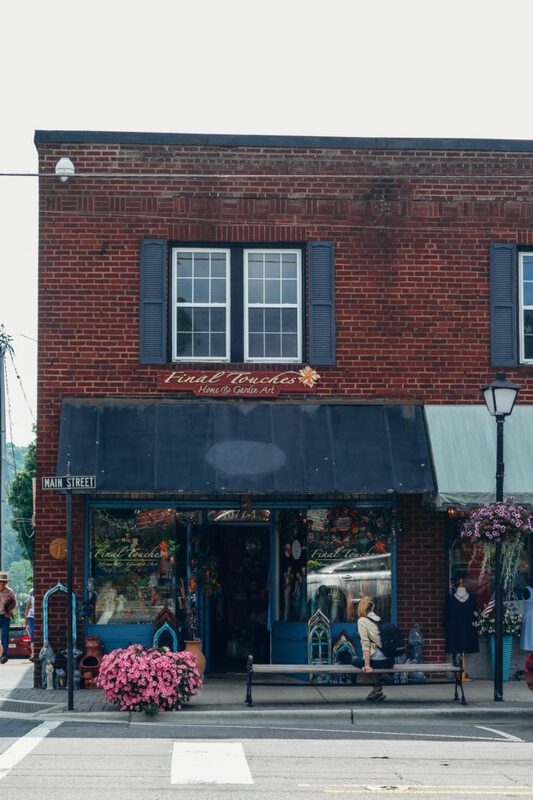 There’s something that feels undiscovered, almost protected about this quaint town tucked away in the Blue Ridge Mountains. 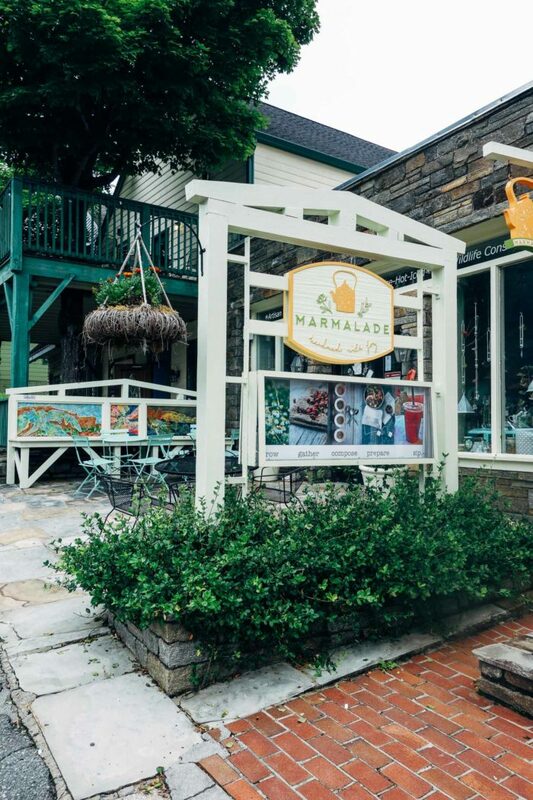 The pace moves a little slower and everyone is sure to greet you with a warm, smiling face. The only noise you hear in the background is the birds chirping or the live bluegrass music playing out on the lawn. It’s a peaceful place that feels inviting to all who pass through. To be honest, I didn’t know what to expect of the city other than the famous cliff that the town is named after. But what I found was so much more. 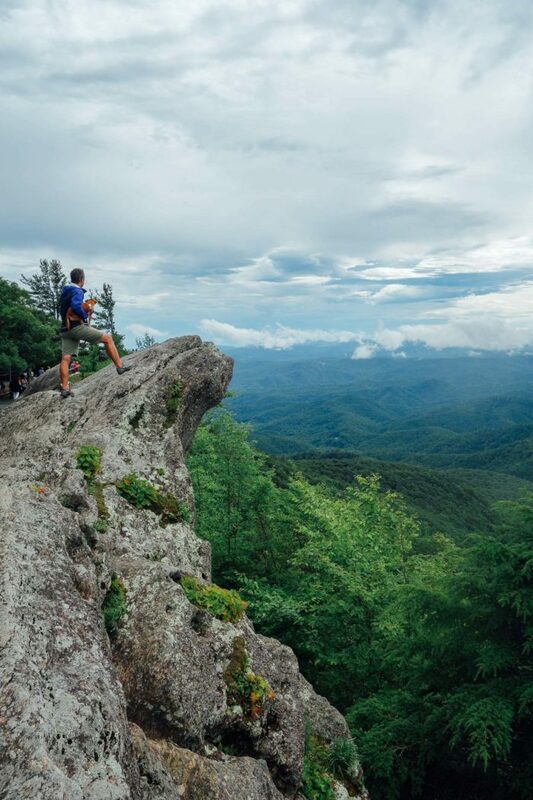 Blowing Rock is truly a great place to rest and explore North Carolina’s surrounding beauty. The New Public House & Hotel. 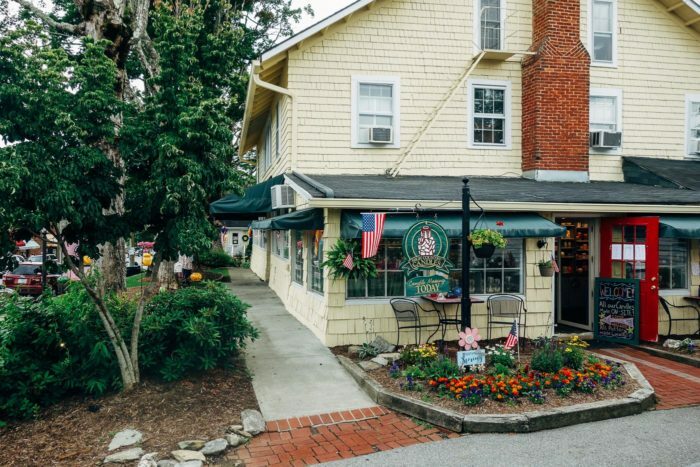 Located in the heart of downtown Blowing Rock, this historic boutique hotel offers seven light and airy rooms with rustic chic decor. 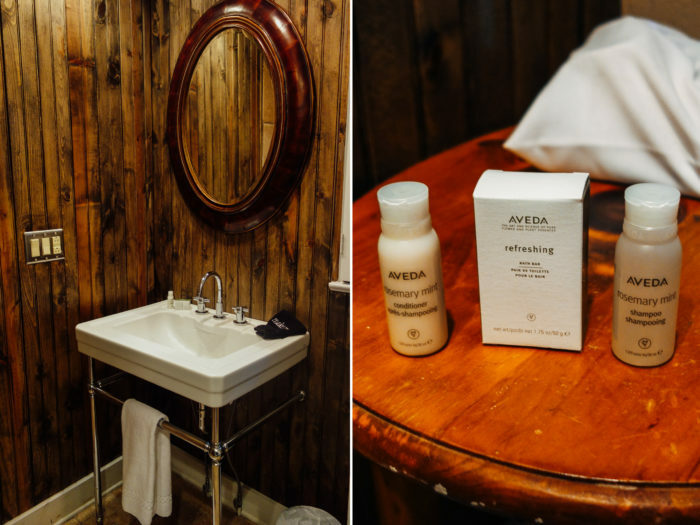 With super soft cotton sheets, Aveda bath products and luxury towels, the accommodations are perfect for a comfortable and relaxing stay. 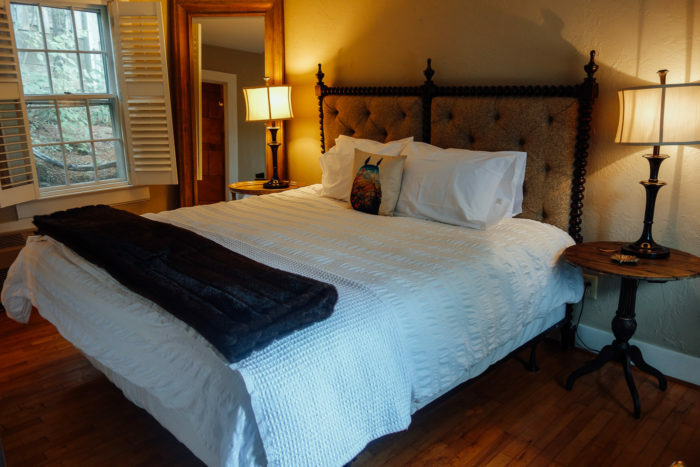 Since we were traveling with Lucy, we booked the only pet friendly room which is an adorable detached cottage located directly adjacent to the restaurant and hotel. 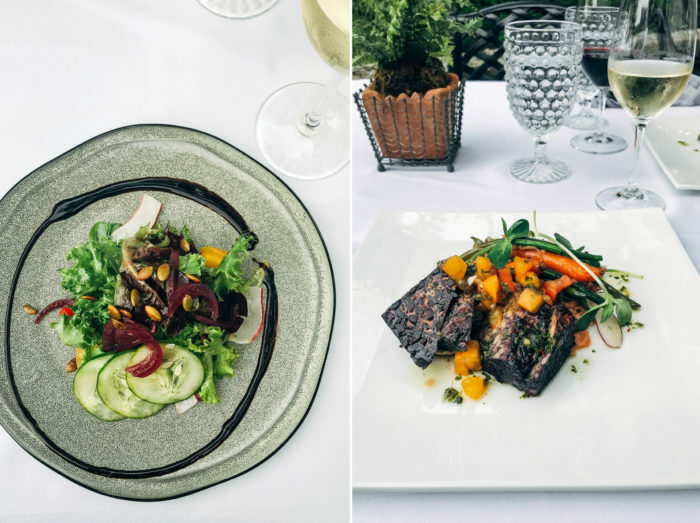 Perhaps the best part about staying here is that you have direct access to some of the best cuisine the town has to offer. Hotel guests are treated to a complimentary made-to-order breakfast that is sure to leave you satisfied for a day full of exploring. Camp Coffee. Although we were plenty satisfied with the hotel’s breakfast, we like to explore local coffee shops and decided to give Camp Coffee a try. I went for the Lavender Almond Milk Latte (with house made lavender syrup- YUM) and Brandon opted for the Americano. 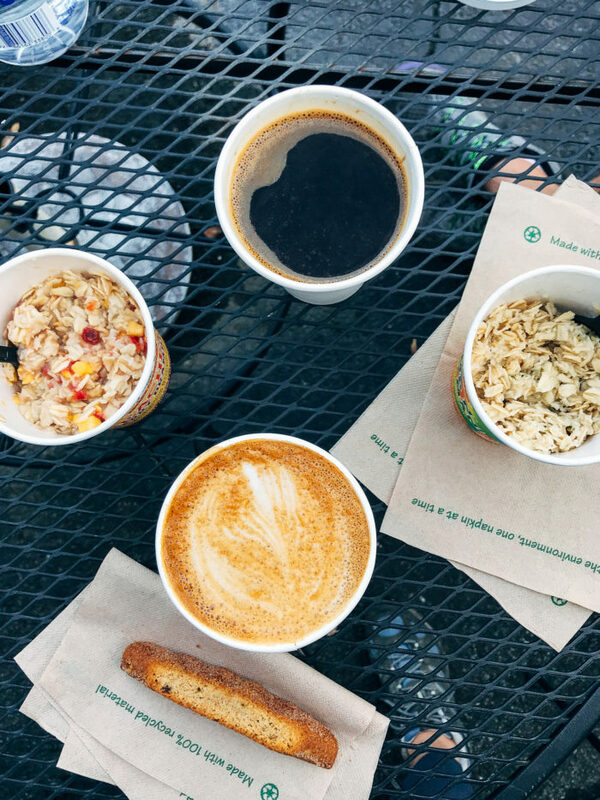 They also have a nice selection of locally made pastries and oatmeal cups for a quick breakfast on-the-go. Juice Boone. 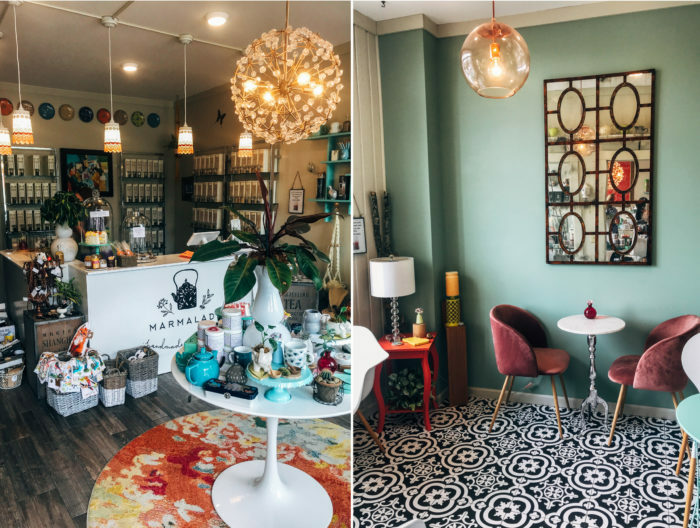 Located in Boone which is just a short 15-minute drive from downtown Blowing Rock, this local juice & smoothie bar is the perfect spot when you’re craving something light and healthy. 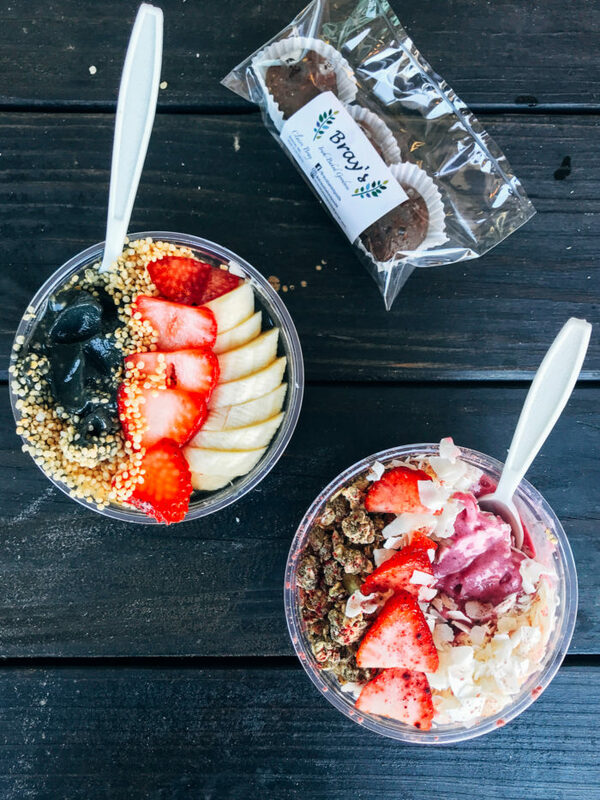 The array of superfoods and raw cuisine makes for an energizing breakfast or lunch. We opted for the Dragon Berry and Black Magic smoothie bowls, both of which were delicious. Melanie’s Food Fantasy. Another great option for breakfast, Melanie’s prides themselves on offering locally sourced food with eclectic flair. 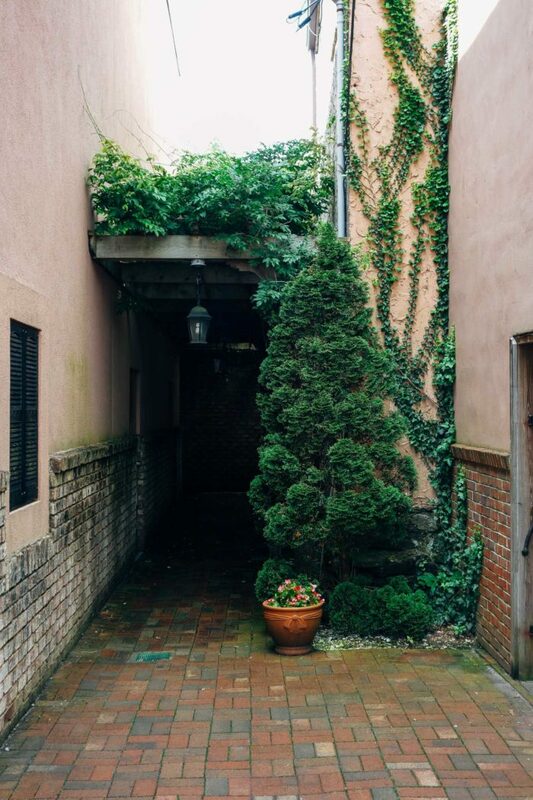 Their inviting patio is perfect for relaxing and catching up over a good meal. 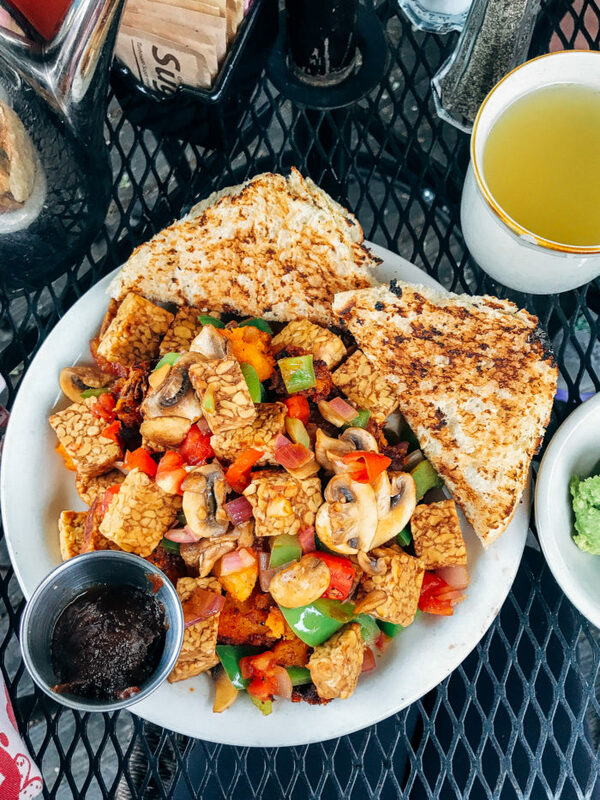 The menu is also very accommodating to all kinds of diets and offers a scrumptious tempeh scramble for plant-based eaters. Eat Kindly. 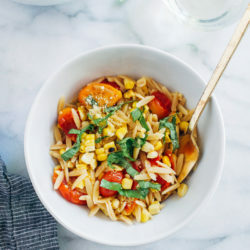 It probably isn’t hard to tell from the name, but this restaurant is entirely plant-based and gluten-free. 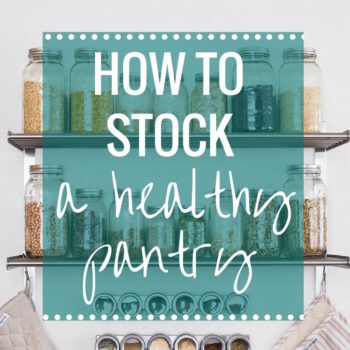 They offer an array of fresh, locally sourced vegetables, grains, and sauces that come together for a healthy, balanced meal. 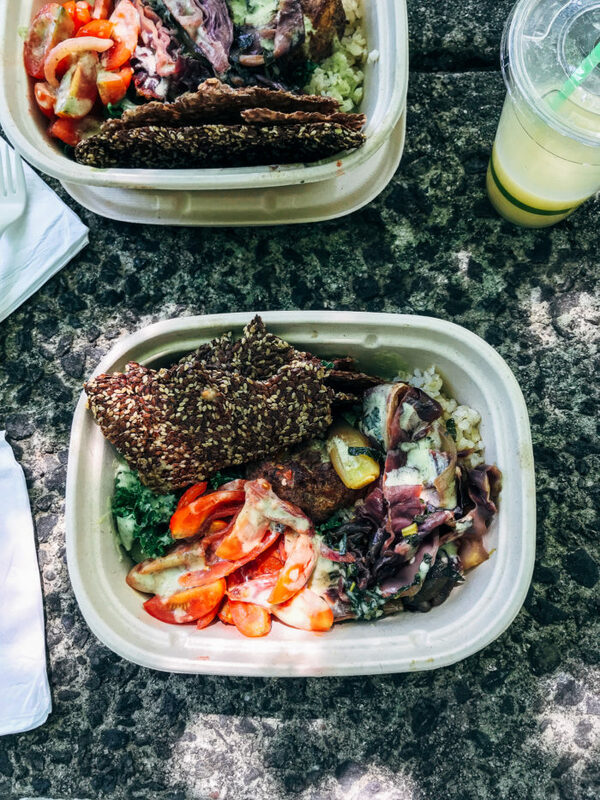 What they serve varies depending on the season, but our bowls included a base of steamed brown rice, citrus massaged kale, homemade potato cakes, sautéed onions, cabbage, and tomatoes drizzled with avocado dressing. Because the restaurant lacks patio seating (and we had Lucy with us) we took the bowls to Price Lake Picnic Area to eat and it was the perfect way to enjoy the afternoon. The Ridgeline. If you’re looking for a casual spot with a great view then this is your place. 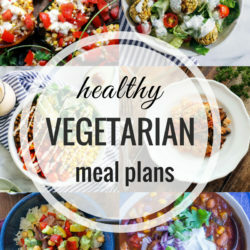 While the plant-based options are somewhat slim, the menu is local, creative and accommodating. We had the black bean burger with house made pub chips for lunch and it hit the spot. Blowing Rock Brewing Company. 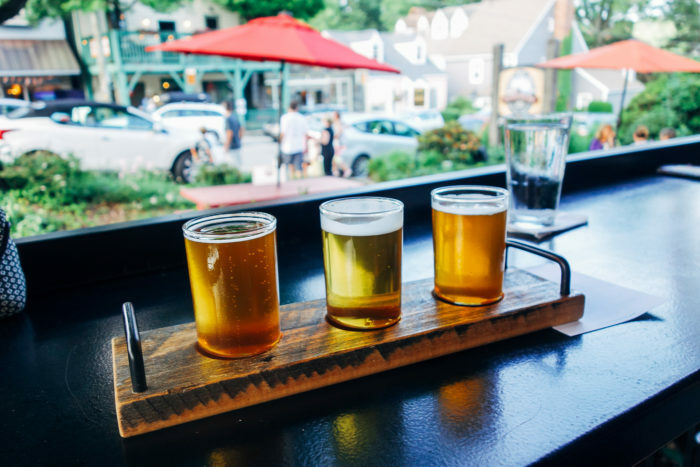 When you’re ready for a cold beer after a long day of hiking, be sure to stop by this ale house for a local craft beer. With over 25 varieties and tasting flights to choose from, you won’t run out of options here. The cucumber saison was my personal favorite for summertime. Sunset & Vine. 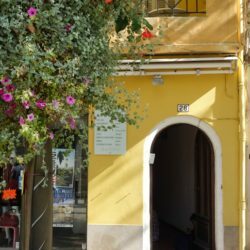 If wine suits your fancy more than beer then you’ll be happy to stop off at this adorable little wine shop for a tasting. 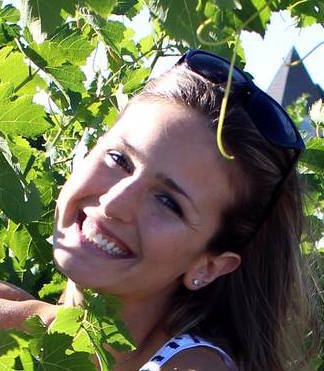 The owner is from Sonoma and understands the need to give smaller wine producers a chance to shine. 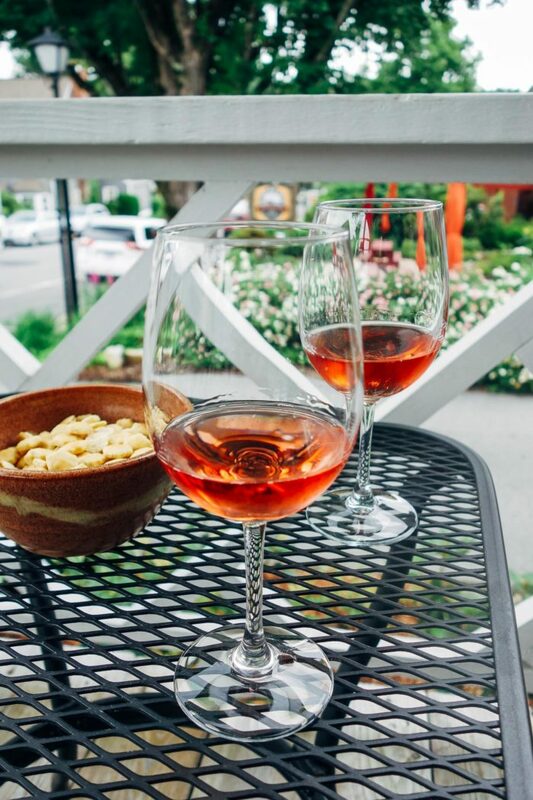 Rather than your big box names, you’ll find both local and internationally produced wine that’s high quality and still budget friendly. The New Public House. We had dinner the first night here and it knocked our socks off. 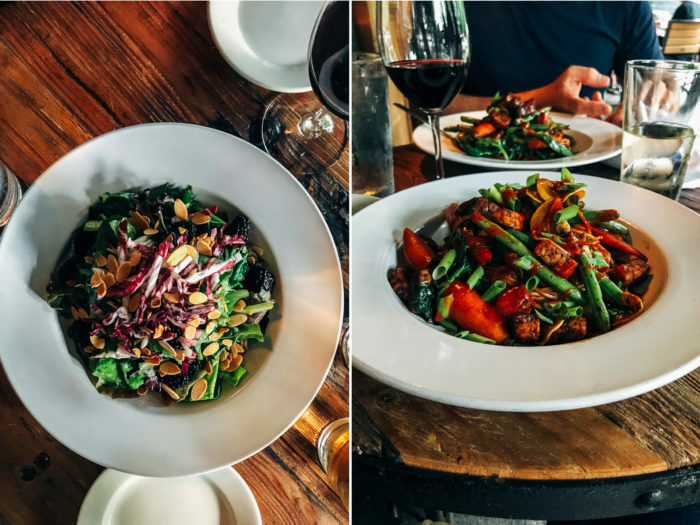 We split a Blackberry Salad and then each had a plate of the Tempeh Lo Mein featuring locally made tempeh and locally grown vegetables. I have to say, for an American Classic style menu, we were super impressed with the quality of their vegan-friendly option. 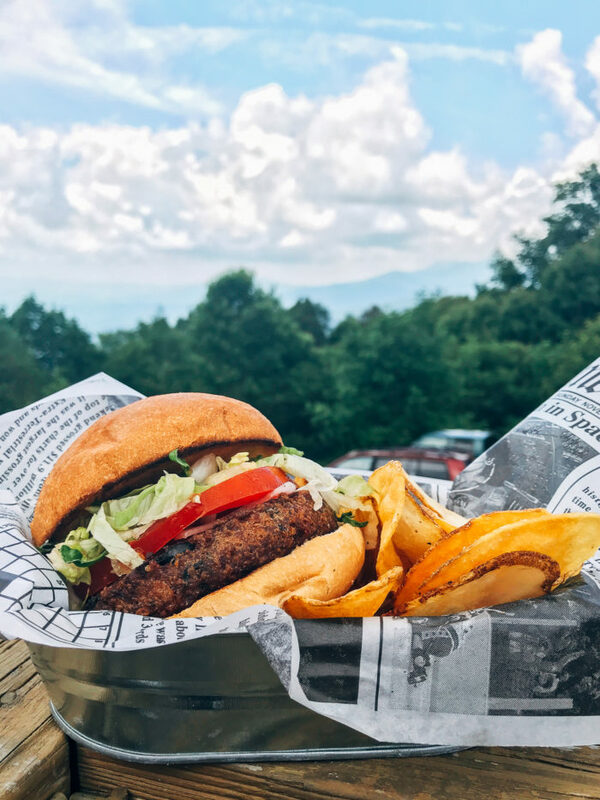 Whether you’re plant-based or not, it’s definitely worth a visit. Moon Thai Sushi. 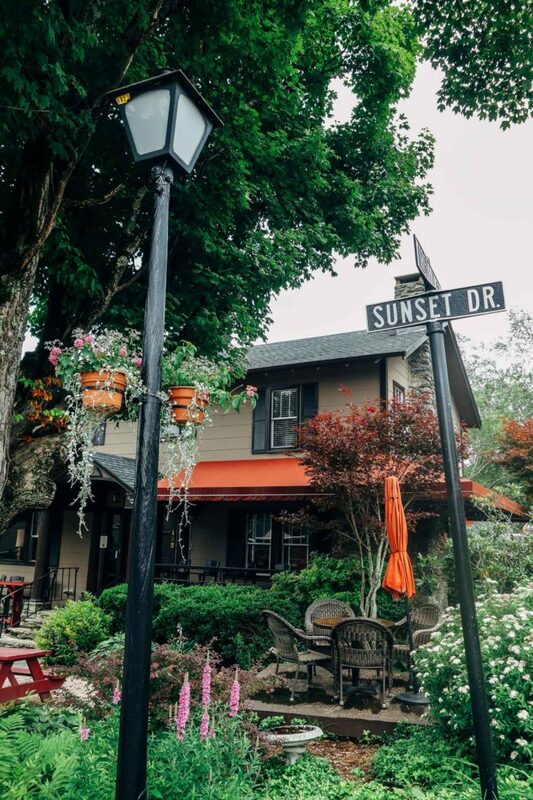 This cozy Asian restaurant is just a short drive from downtown Blowing Rock and offers up some of the best sushi you can find. With a long list of both Thai dishes and sushi, you’re bound to find something you like. 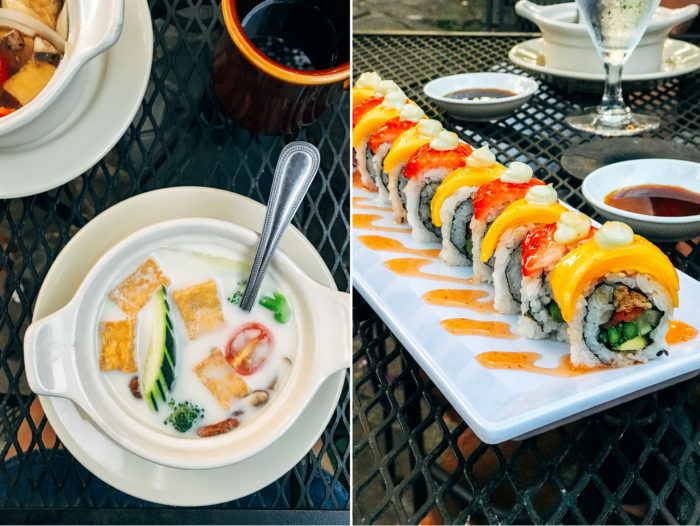 I ordered the coconut milk soup with tofu and vegetables along with the Vegan Delight Roll and they were both incredible. Seriously, I’m still dreaming about that sushi! Gideon Ridge. 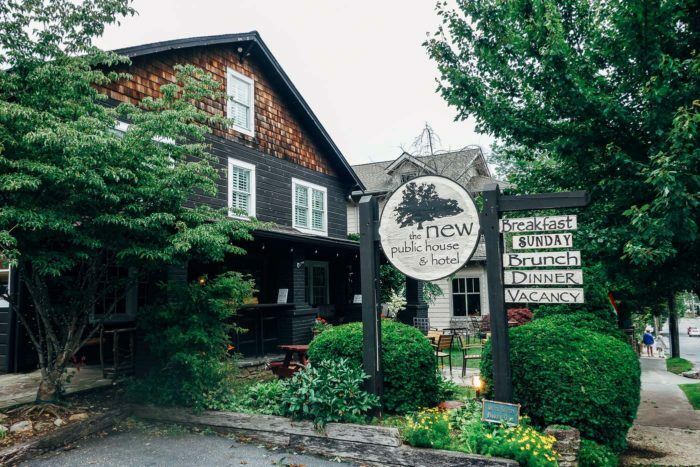 This might be one of the nicest places for dinner in all of Blowing Rock. The setting is serene, tucked away on the side of the mountain with a stunning view and lush greenery surrounding you. The quiet music and cafe lighting adds to the overall ambiance. The restaurant even grows their own vegetables right on the side of the mountain so that they can serve the freshest flavors possible. We ordered the vegetarian entree option (sans cheese) and it was the best tempeh I have ever had in my life. I’m not kidding either! It was super juicy and didn’t have any of the typical bitter flavor that tempeh is known for. The chef came out to speak with us after our meal and apparently he used the first of the season’s heirloom tomatoes for our dish which explains why it was so mind blowing delicious. I wish they sold those tomatoes so I could take some home. They were so good! Gideon Ridge is definitely a must-try. 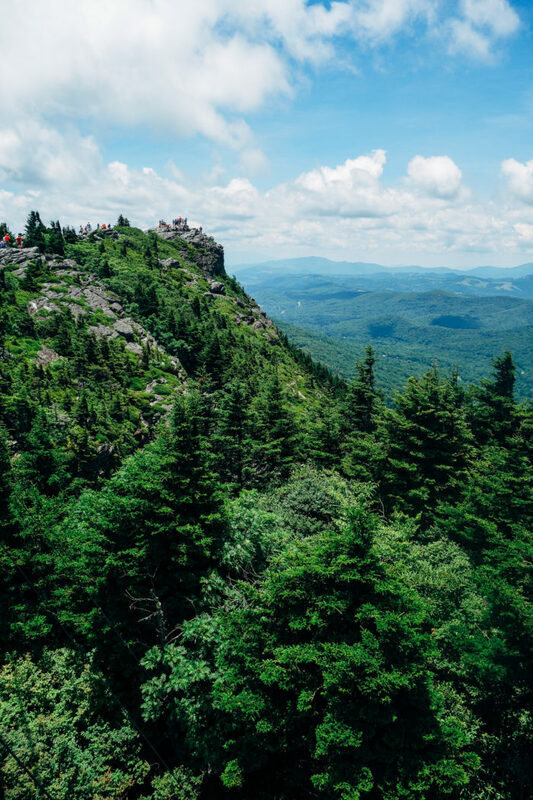 The Blowing Rock. I think it goes without saying that the 4,000-foot cliff the town is named after is worth a visit. 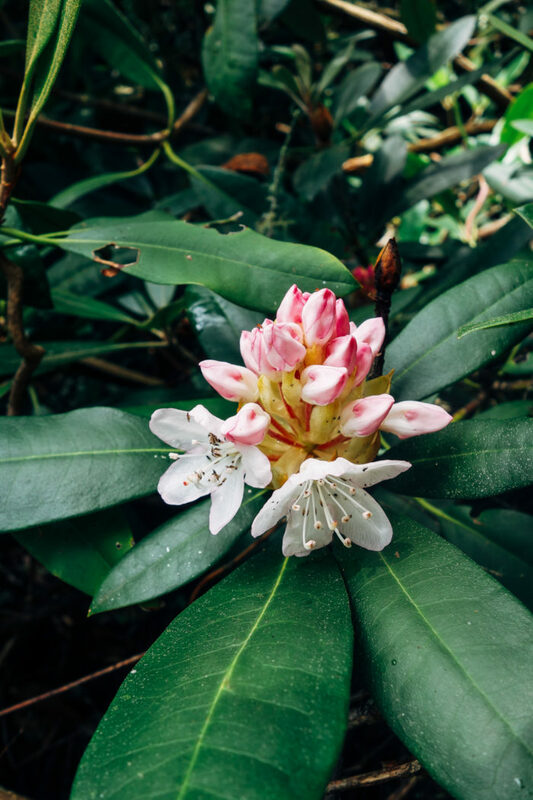 Here you can stroll the well maintained gardens, learn about the Native American legend, and stop to appreciate the sweeping views below. 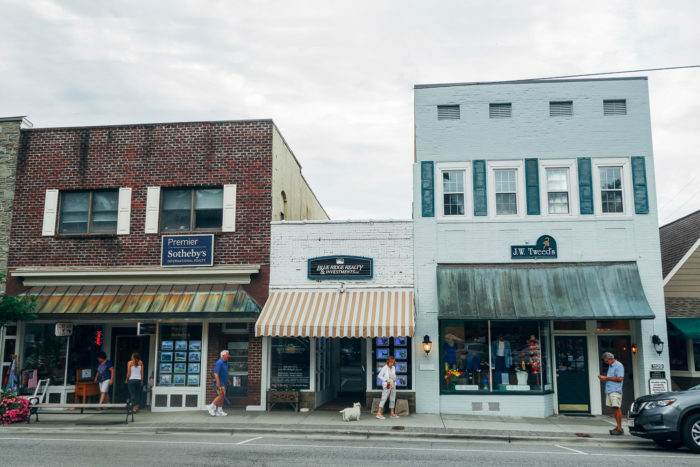 Downtown Blowing Rock. As I said before, I didn’t know what to expect but I was pleasantly surprised by how cute the downtown area is. Everything is beautiful and so well cared for. You can really sense the love the community has for its town. I especially enjoyed the flower planters on the lamp posts lining the streets. They were so charming. 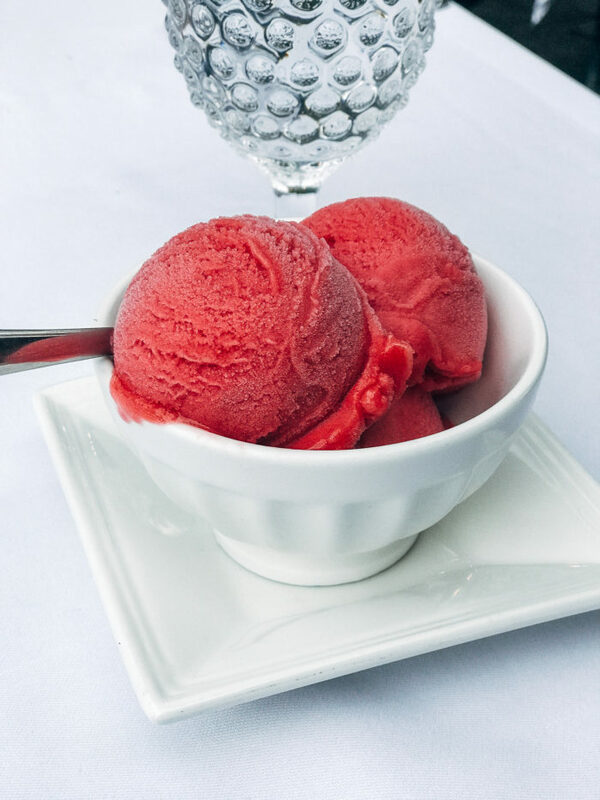 You can easily plan to spend a few hours perusing the shops and stopping for tea or ice cream. I found the most scrumptious lavender hand cream at one of the stores and I’ve been using it every night before bed. It’s absolutely heavenly. Blowing Rock Farmers Market. 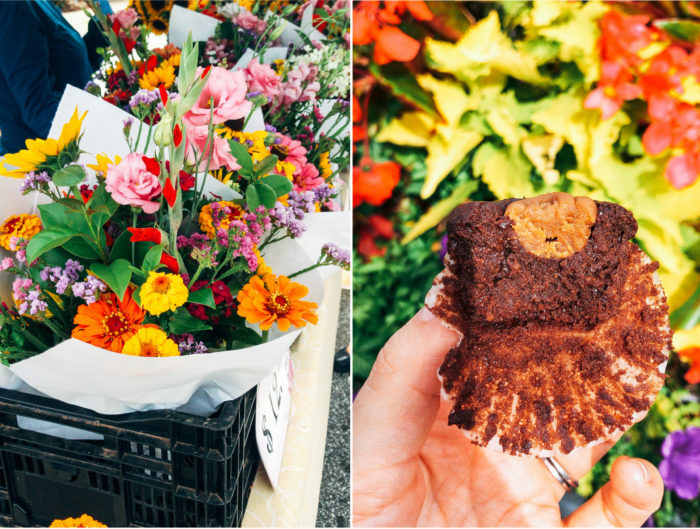 I personally love exploring local farmers markets so we made a point to attend this one downtown on Thursday afternoon. Although it’s small, we enjoyed seeing what produce and goods they had to offer. We picked up some locally made lavender soap and vegan peanut butter brownie bites. I’d say that was a win. Live Music on the Lawn. 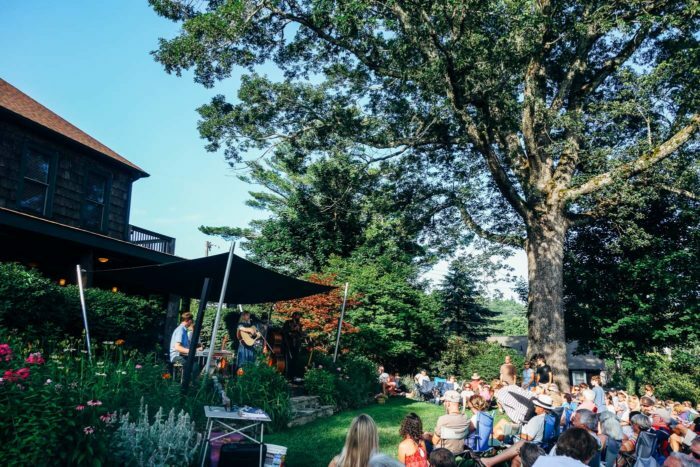 In addition to great food and outdoor activities, Blowing Rock has a wide array of festivals and events happening throughout the year. The weekend we were in town was an off weekend for many of the events but we still lucked out with a live bluegrass band playing in the lawn just two doors down from our hotel. Blowing Rock Art & History Museum. 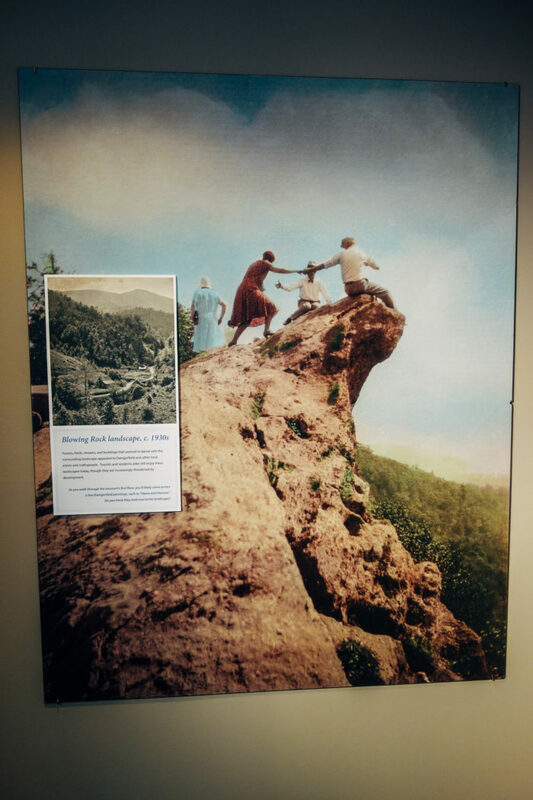 I’m not usually big into museums but this one is free and is a great way to spend 30-minutes digging deeper into what Blowing Rock is all about. 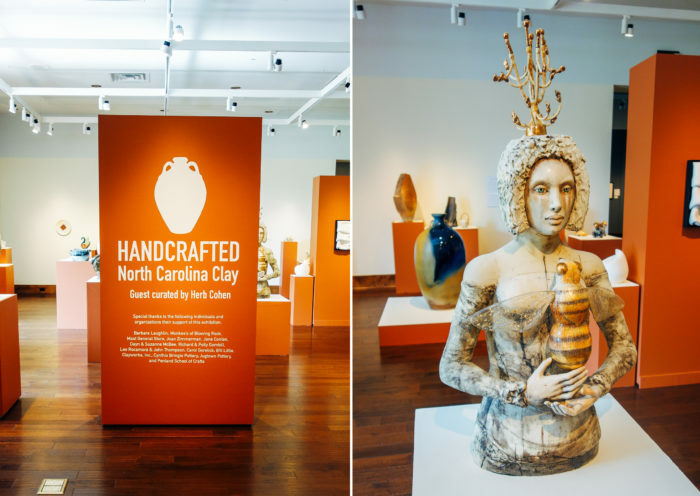 There’s an exhibit on the history of the town which I found fascinating, a photography exhibit that introduces and interviews local creators and purveyors, and a pottery exhibit highlighting North Carolina clay artists. 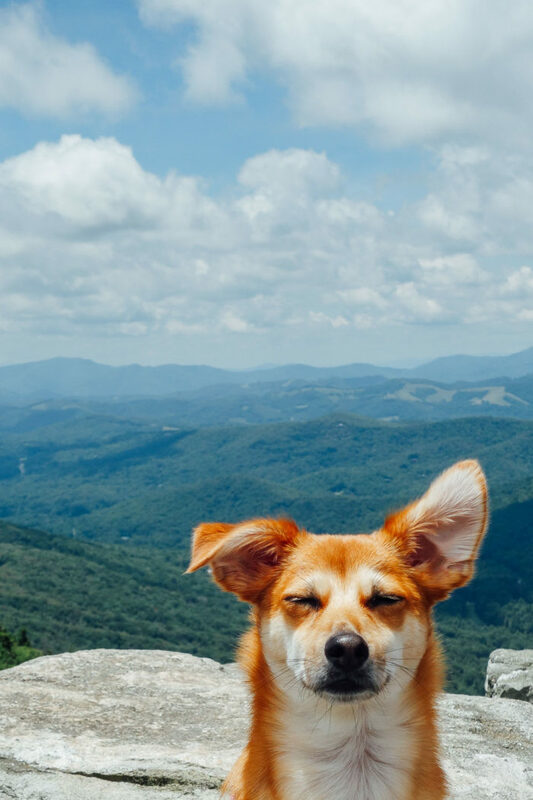 Rough Ridge Hike. 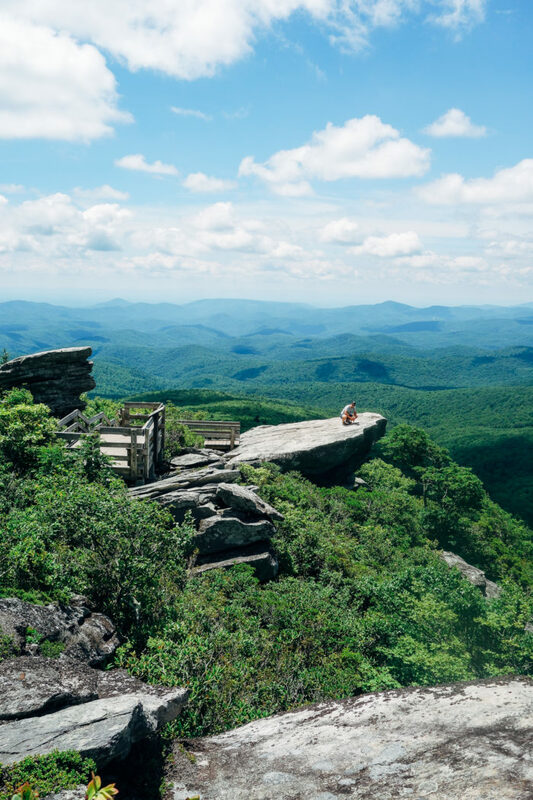 There are a ton of awesome hikes in the Blowing Rock area and even though I haven’t done all of them I feel pretty confident saying that this is one of the best. 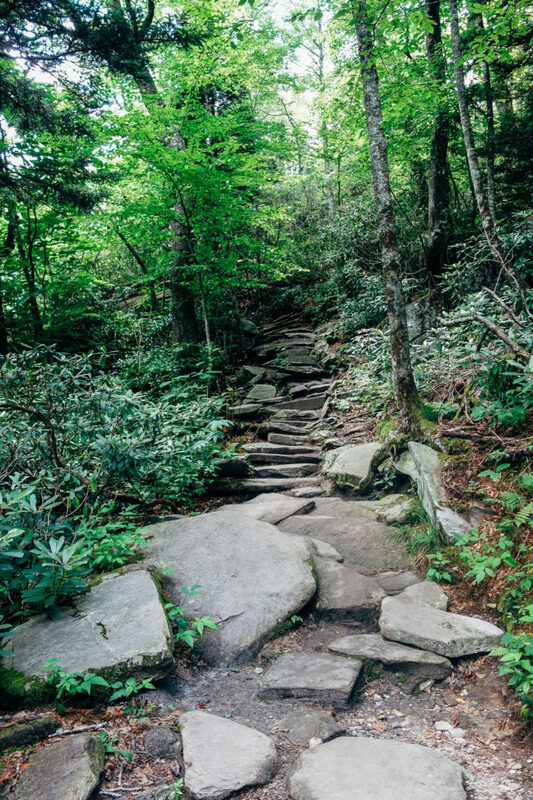 The trail is surprisingly short with a .3 mile trek up a few steep sets of rocky stairs. 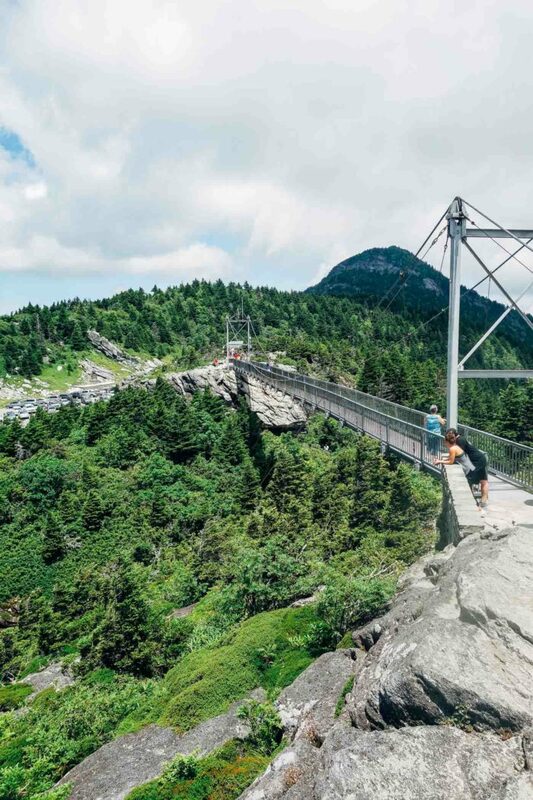 At the top is a breath taking view of Grandfather Mountain, the famous Linn Cove Viaduct and the Blue Ridge Parkway below. It’s definitely a must-visit. 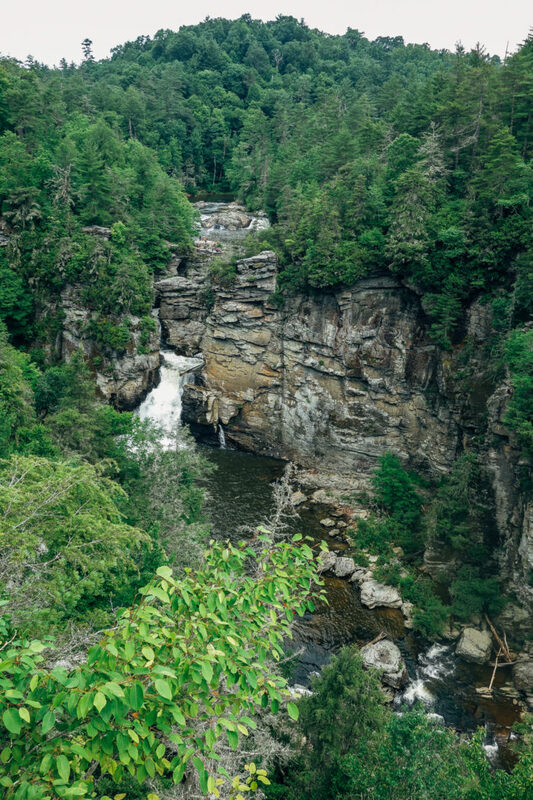 Linville Falls. 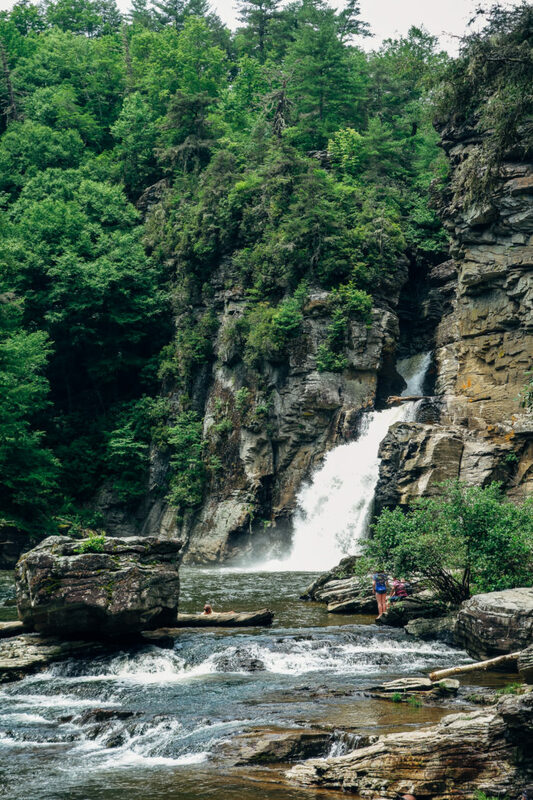 A little bit further south from Blowing Rock is one of the most beautiful waterfalls in all of North Carolina. There are several different trails you can take here and pretty much all of them lead to something good. You can find a map at the visitor’s center that will give you directions to each. We did the hike to the top for Erwin’s view and Chimney view, then all the way to the bottom of the falls to the Plunge Basin. The hike down is relatively treacherous so beware of slippery surfaces. Brandon had to carry Lucy for quite a bit because of how steep the trail is. Because of the conditions, you won’t find as many people at the bottom of this trail which is the payoff for your hard work. Grandfather Vineyard. After living in Northern California for 4 years, Brandon and I have certainly visited our fair share of vineyards. That said, this one is easily at the top of our list. First of all, I love that it’s dog-friendly. The owners have two collies that freely roam the grounds and let me tell you, they are living the LIFE. 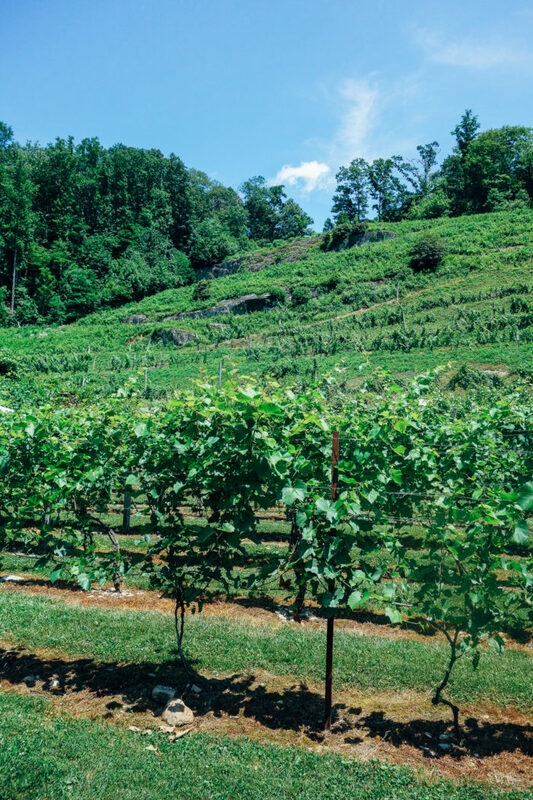 The scenery is gorgeous with a mountain of vineyards on one side and the flowing Watauga River on the other. 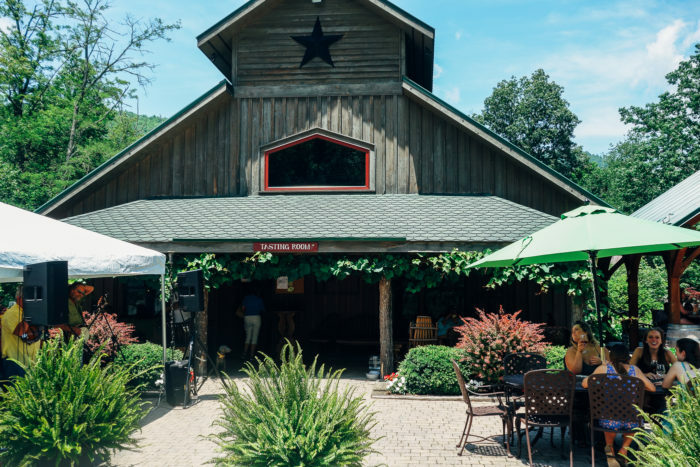 The wine is delicious and they also feature live bluegrass on the weekend. What else do you need? 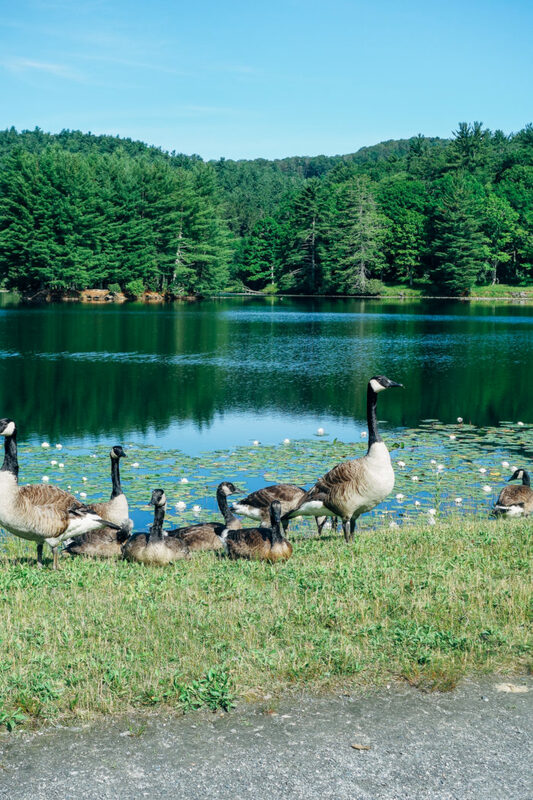 Julian Price Lake. 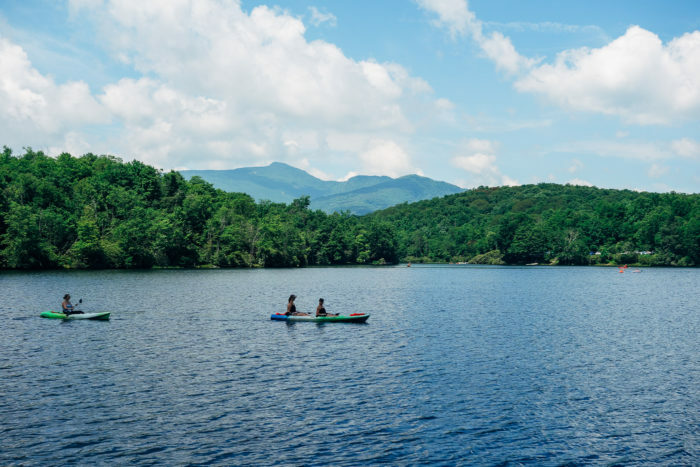 This 47-acre lake is located just minutes from downtown Blowing Rock and is a perfect spot to relax with a picnic or rent a boat to take in the views from the water. 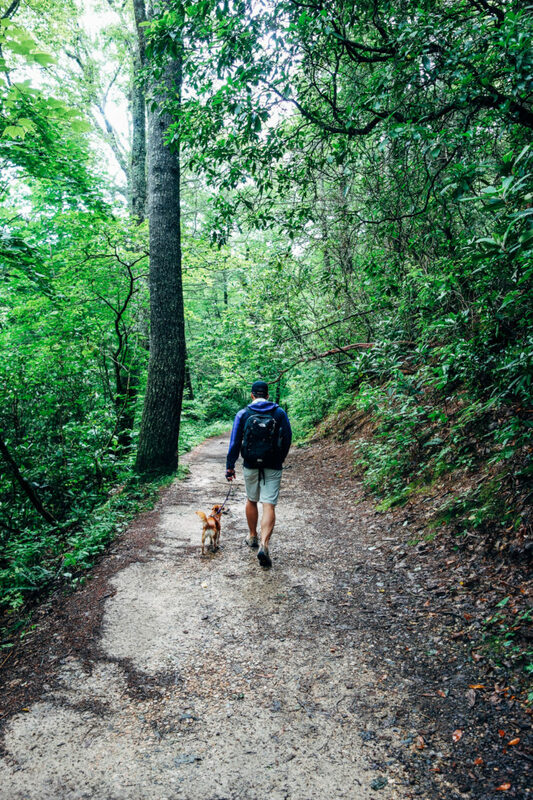 There are also several hiking trails in the area. One is the Boone Fork Trail which we heard was awesome but ran out of time for. Moses Cone Memorial Park. Last but not least, this gorgeous park is also just a few minutes from downtown and is a beautiful place to take a relaxing stroll. 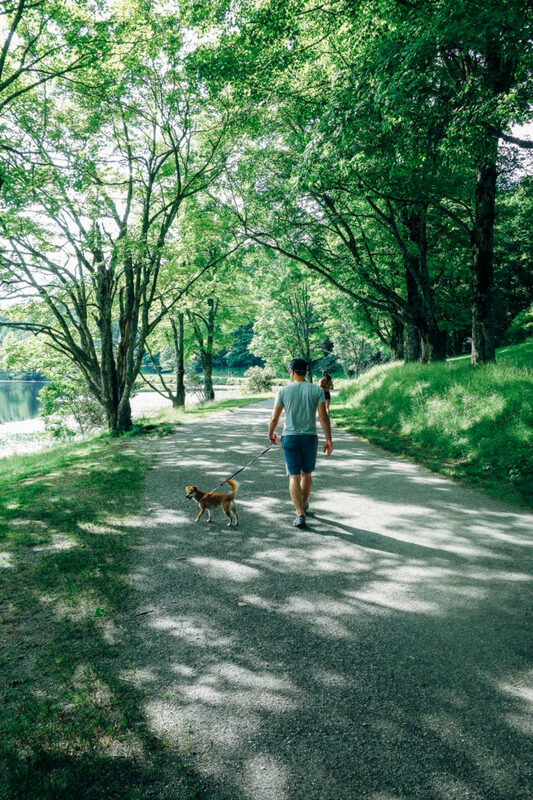 There are several trails around the lake, some of which are equestrian friendly so you can plan to see several horses while you’re out there. 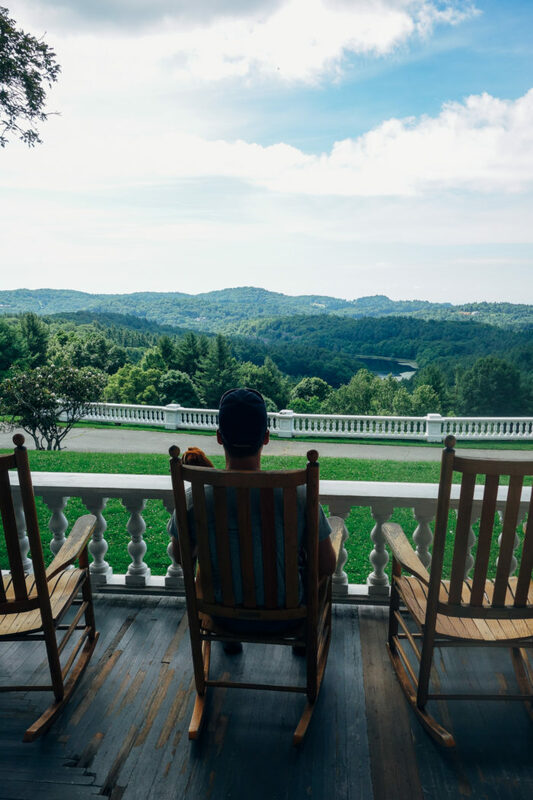 Once you’re done with the loop around the lake you can drive to the top and visit the historic Flat Top Manor, which offers sweeping views of the lake below. I love your travel posts. This place looks amazing. 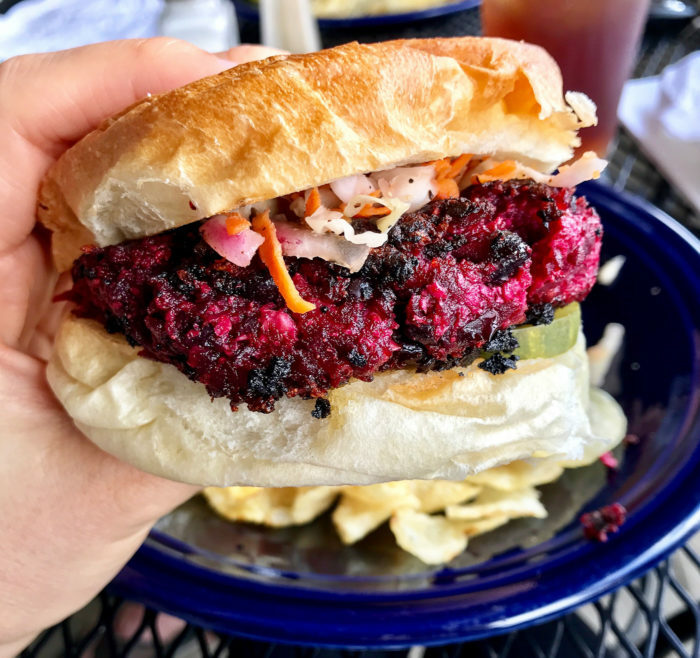 All the food you had looks super delicious but I have to say that vegan beet burger does look especially tasty. And yes that beet burger was incredible! 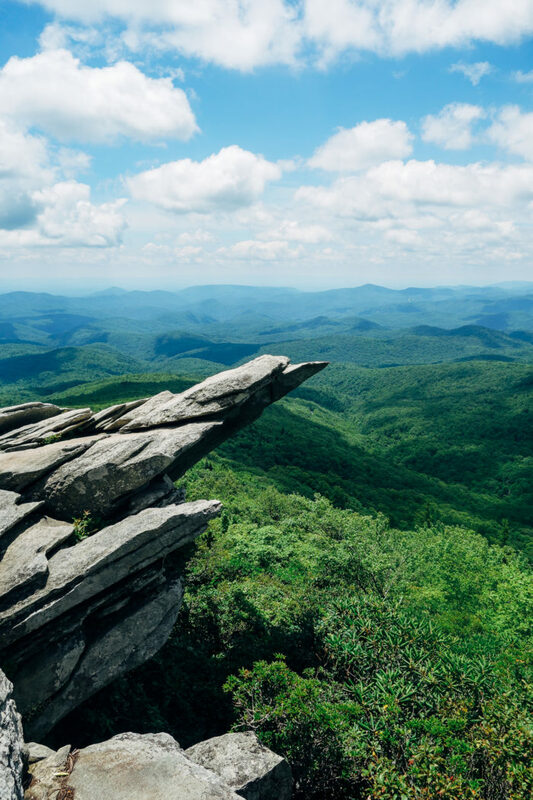 Blowing Rock looks gorgeous! 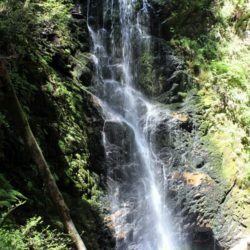 Those hikes sound amazing and it’s making me want to plan a weekend getaway now. Looks like Lucy had a good time too! 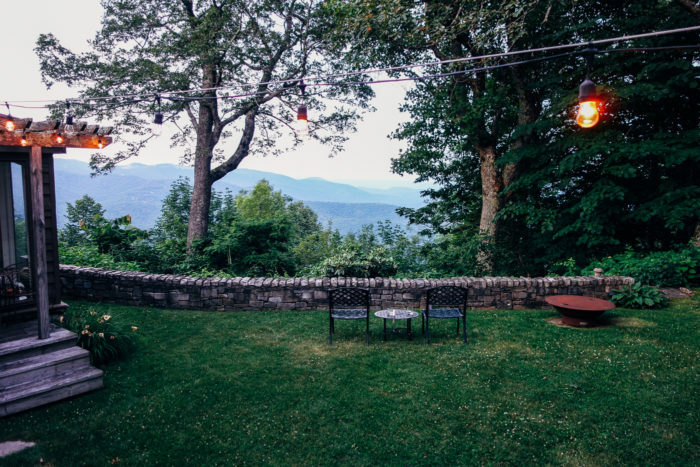 I highly recommend planning a little getaway to the Blue Ridge Mountains. It’s so beautiful! Wow, you are totally making me want to visit!! 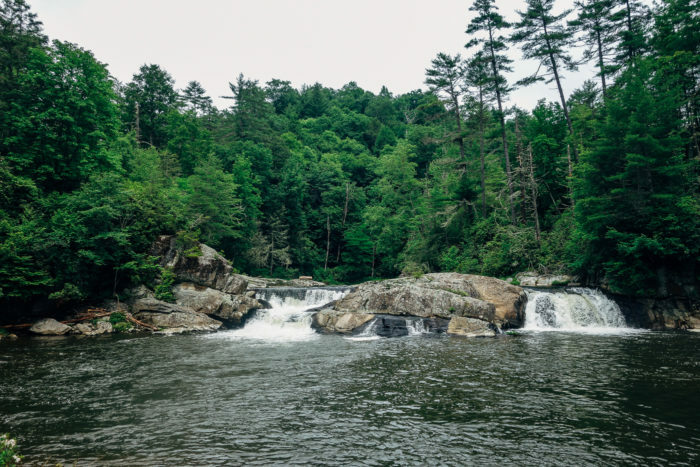 I had no idea this place even existed – and that’s crazy since we lived in NC for three years lol! It looks absolutely stunning! 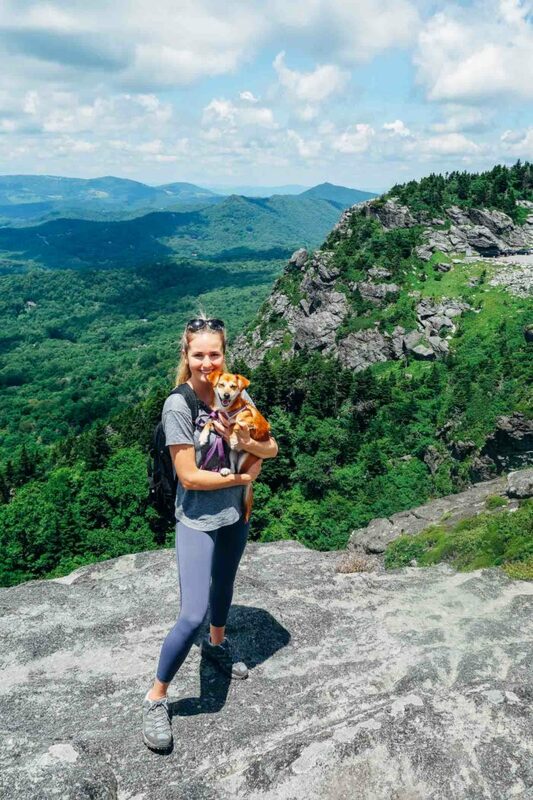 I loved grandfather mountain. It was a last minute trip. I loves Asheville as well. 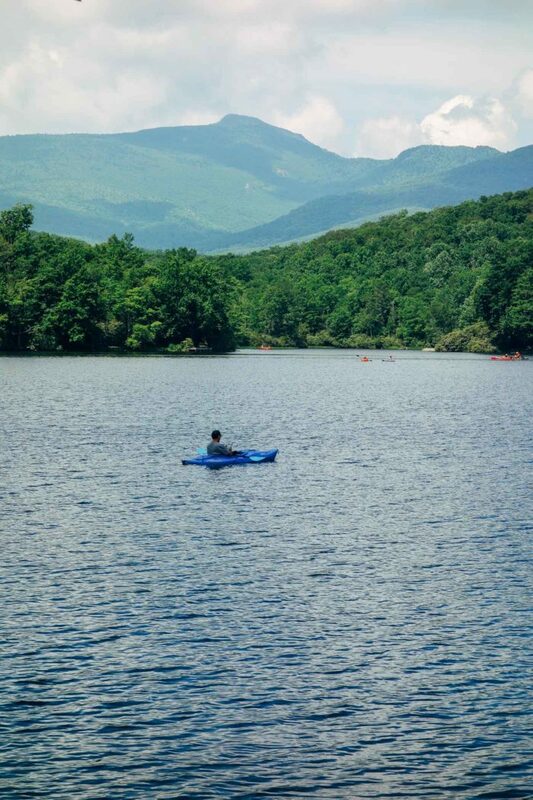 North Carolina is beautiful. I was actually born in NC and spent a lot of time there growing up but I didn’t realize how gorgeous it is until going back as an adult. It’s really a special place! Okay, I went to college in Chapel Hill and am kicking myself for never going here! 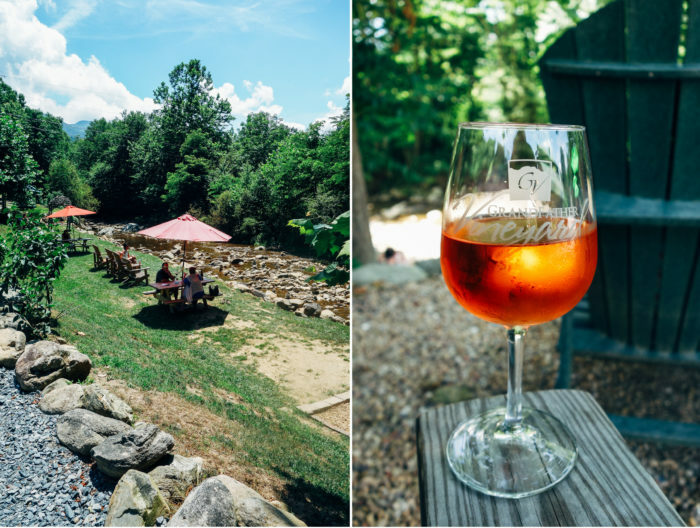 I am definitely adding this to my list of places to go for a weekend getaway from DC! These pictures are wonderful, and it sounds like such a great trip. Thank you, Jerilyn! I wish I could take Lucy everywhere with me. We are traveling overseas next week and leaving her for the first time. I’m already crying about it, lol! I live in Boone so this post made me extra happy! I’m glad y’all enjoyed your adventure! Aw how cool! You’re so lucky to live there. Such a beautiful place! 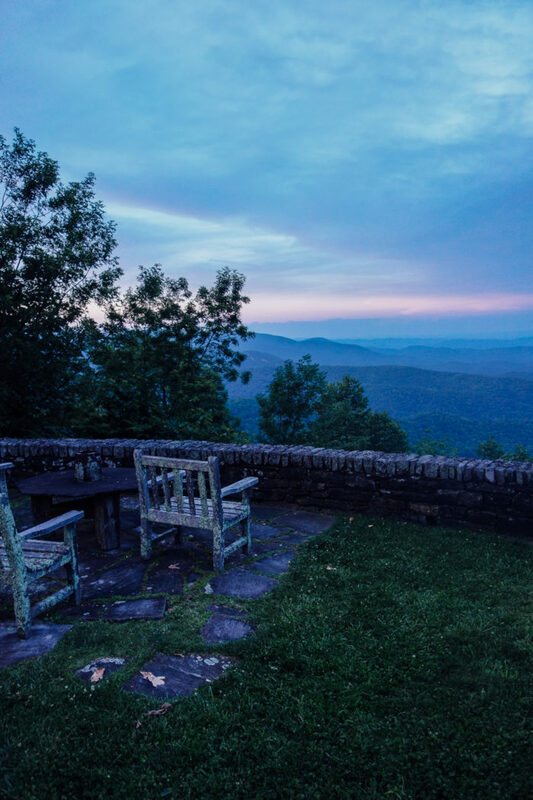 Your photos are breathtaking Sarah, and I can tell that I would love Blowing Rock! 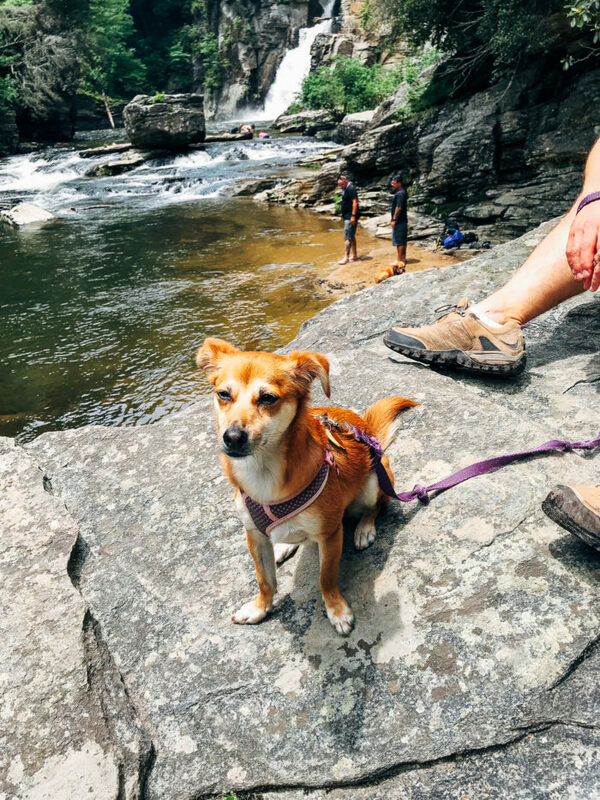 I’m all about great food, gorgeous views and good hikes, and the slower pace and friendly people make it sound especially inviting! 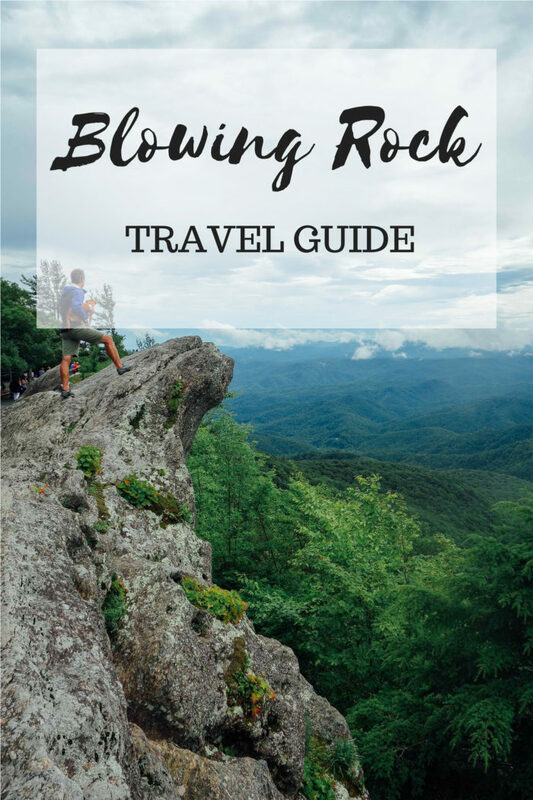 I’ve never heard of Blowing Rock, NC. It does look like an absolute charming town. I’m itching to visit the mountains ASAP! A friend from FL goes here every summer so I had to send her this. She loved reading it and found it very accurate! She has been to most places accept the the expensive restaurant but hears it is very good!! She is going there in August and after reading this, is even more eager to get there. Nice article!! You not only do well with food blogs but travel news as well!! 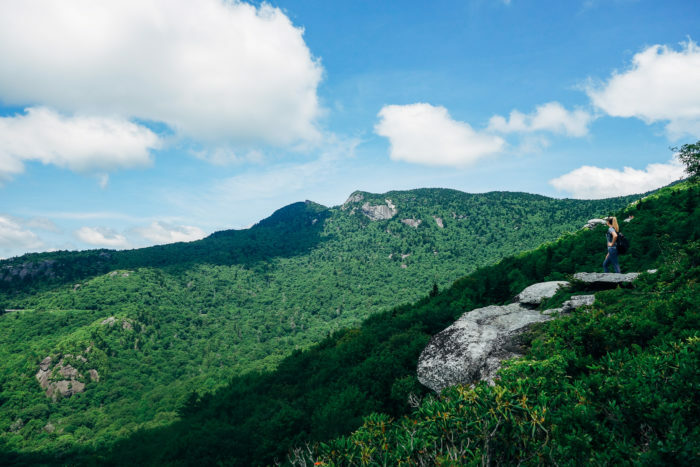 I’m starting to plan my cross country trip and have Asheville noted a must-see town I haven’t been to before… so I was just checking out Google maps jotting down ideas of what routes to take, and I see the name Blowing Rock on the map & thought, “Wait! I think that Sarah was just posting on Instagram about visiting there!” Sure enough, you’ve put together a great post of the town that I will definitely be referencing. Thanks for sharing! Obviously you would go north at some point but driving through Arizona and Utah was beautiful! This is one of the most comprehensive and well written travel articles I have read. You hit all of my buttons and provided detailed info that is so useful. 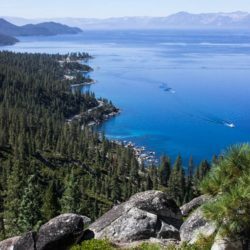 I will be looking for other travel blogs you have done. Thank you! Aw thank you! That means a lot. 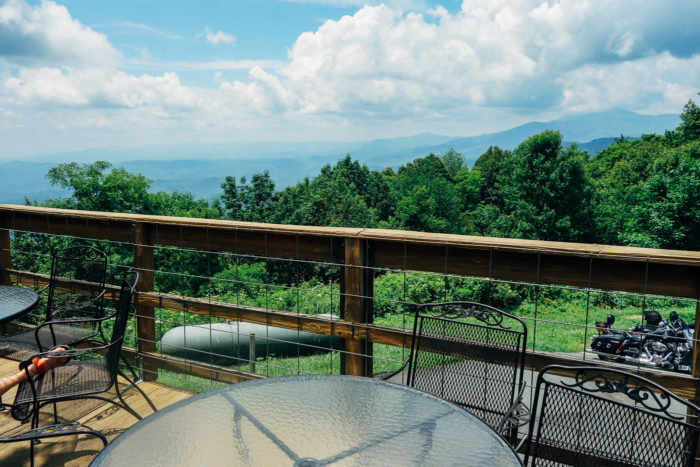 If you are investor be sure you are happy with renting by the month as alot of areas in Blowing Rock have strict rules in how you are to use your property even thou it is a tourist town. It can make investing by renting a un profitable venture.